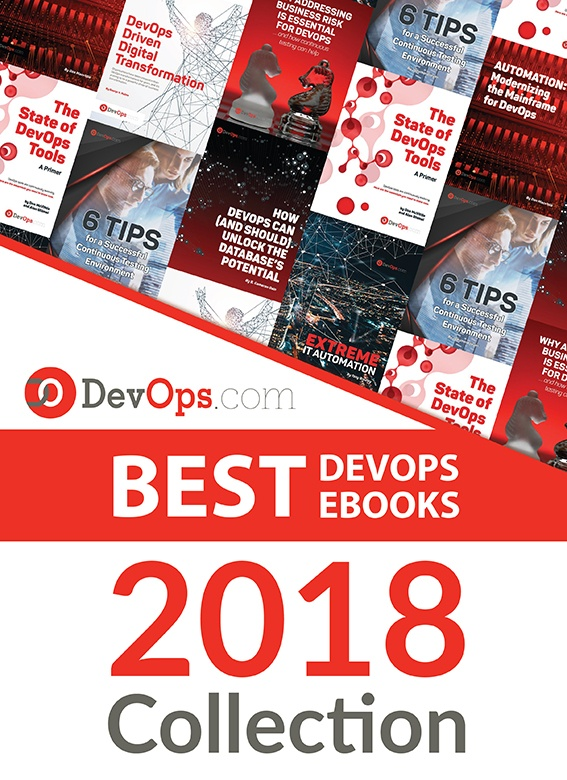 Home » Blogs » Doin' DevOps » DevOps Empathicus – Where is your organization on the evolutionary scale? DevOps Empathicus – Where is your organization on the evolutionary scale? Ok, I admit it – I sometimes cry when watching sad movies or as real-life events play out in the news. I put myself in the position of other people, sharing their joy and pain. This got me thinking about change-based initiatives like DevOps and what benefits organizations can realize when IT staff have the support to do what should come naturally. That is, considering what it’s like to be on the ‘other side’ – whether the other side means Dev, Ops and Security or as a customer, and then collaborating to drive improvements. Taking Stock of DevOps: Where to from Here? The Myth of DevOps as a Catalyst to improve Security? Below is a “scale” that can be used to assess the empathetic maturity of your organization. Failing to acknowledge (however painful) your organization’s maturity will compromise any hope of success with DevOps – no matter what tools or would be process improvements you put into place. Hunter Gatherers – at the lowest point on the evolutionary scale, these organizations have a preponderance of what can be considered IT foragers and scavengers. Singularly focused, their survival depends on technical dexterity in the harsh environments they operate. Using specialized tools and with little management oversight, their sustenance is every technical issue and problem. They trust no-one, thriving instead on the ‘hero status’ they’ve acquired over many years of keeping the technical lights on. To them, DevOps is like every other change initiative – a painful and unnecessary distraction they’ll attempt to discredit – by doing what every good hunter gather does — beating it to death. To ferret out hunter gatherers, I’d suggest a simple test. Ask everyone how they dealt with the last Severity 1 outage. If they start by blaming other folks (even on their own team), or claiming that recovery was down to them alone, then they probably should be kept away from a DevOps style initiative. If however, the quiet introspective Ops guy fesses up that he calls for help from his pals in security to tackle problems, or that he’s even sharing monitoring tools with Dev to improve code quality, there’s hope that teams can hang up the spears. Tribes and Clans – moving up the empathetic scale, these organizations are characterized by teams of technology domain-based specialists – like the NOC clan or the service center tribe. True, these groups share each other’s pain, but this is almost always (in their minds) brought about by the habits of competing tribes. Here, every release delay, lengthy compliance check, outage and problem, is caused by another team – like the hipster, tofu loving developers or those hard-nosed security and compliance specialists. With IT teams being traditionally organized by technology function, it’s not surprising that tribalism persists. Many organizations attempt to resolve the issue by for example co-locating teams. But without putting some shared skin into the mix that’s going to be as successful as a TV celebrity sharing some deep thoughts on Twitter. Therefore, start by finding some common ground to help unite teams. A shared area might help for sure — but better still are shared outcome-driven business metrics with linked incentives. Religious Cults – best practices and methodologies like agile development, ITIL, Cobit and Lean are great for bringing similar like-minded tribes together. Unfortunately, pragmatic application often gives way to dogmatic enforcement; with crusade-like implementations promising much, but never delivering much in the way of business value. DevOps itself can still fail miserably if organizations succumb to all the hype and hyperbole; readily accepting rants that whatever preceded it has to be bad. More mature IT teams look beyond industry spin – accepting that many existing practices can have a place in supporting the goal of rapidly delivering high quality software. For example, incorporating existing integrated ITIL incident and problem management processes during pre-production to build and circulate knowledge, or even automating compliance procedures during testing to both harden security and prevent delays. DevOps Empathicus – it’s no surprise that the most successful organizations display high degrees of empathy. They care about their colleagues and customers. They collectively swarm issues, treating problems as the enemy. For these organizations the ‘smartest guy in the room’ syndrome is a thing of the past – with acceptance that people innovating solutions don’t have to be MBA grads or domain experts. But while we can hope that organizations naturally evolve to this nirvana state, it just doesn’t happen that way. It takes subtle intervention from management to get people from a state of just caring about the technology to being deeply connected with the business problems they are trying to solve. Sure, that sounds fanciful, but the first time you see a high-five because the business just exceeded its Net Promoter goal or they’re measuring downtime in terms revenue lost not milliseconds, you’ll appreciate the power and value of empathy — Then perhaps like me you can get out the tissues and have a darned good cry. So where does your organization fall in this scale?